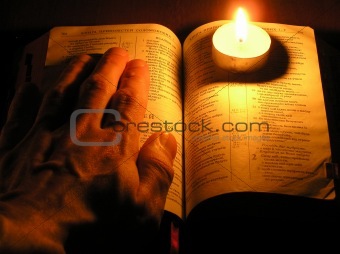 Image Description: On a photo a candle which on the Bible. A photo on a dark background of a table. The photo is made in Ukraine.